After finishing the back, all the rest of the pieces went quick! I blocked as I went, so all I had to do was seam. Here's a successful completed Ivy! That's a great color for you! It looks lovely! Yowza! 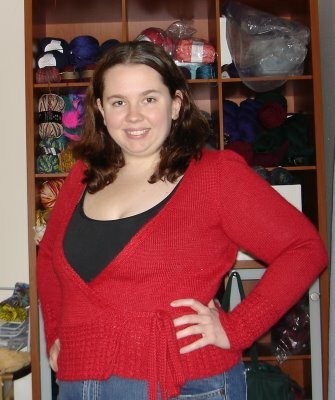 That is one gorgeous sweater in red, and it looks fabulous on you :) Congratulations! Great color! It looks wonderful. Yea! Ivy! It looks great! I'm sure you will wear it a lot. Lovely!!! 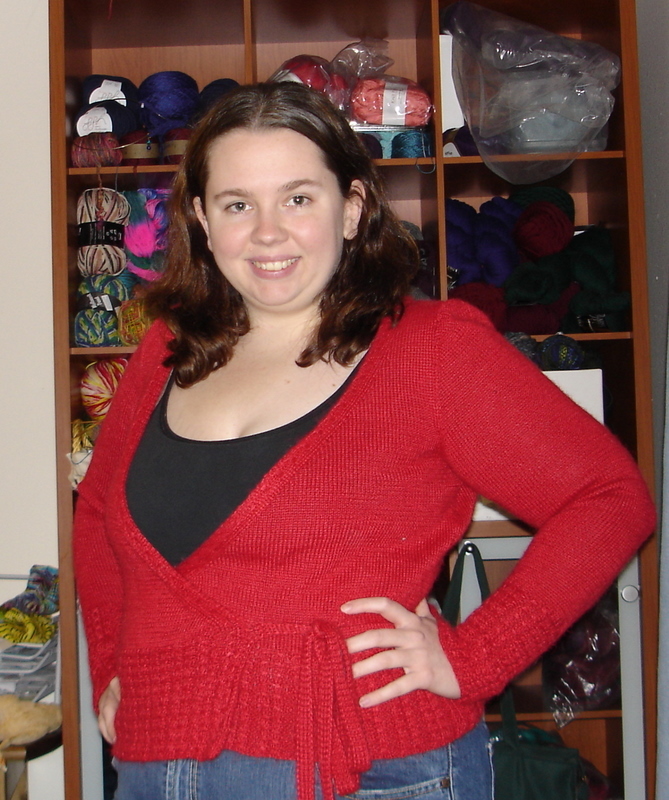 I am a similar shape to you & was wondering how a wrap sweater would suit me - it looks *fantastic! * ....note to self: after my sister's Ivy, knit one for me.